Weight and dimensions without packaging: 1 kg; 23.5 x 23.5 x 3.5 cm. 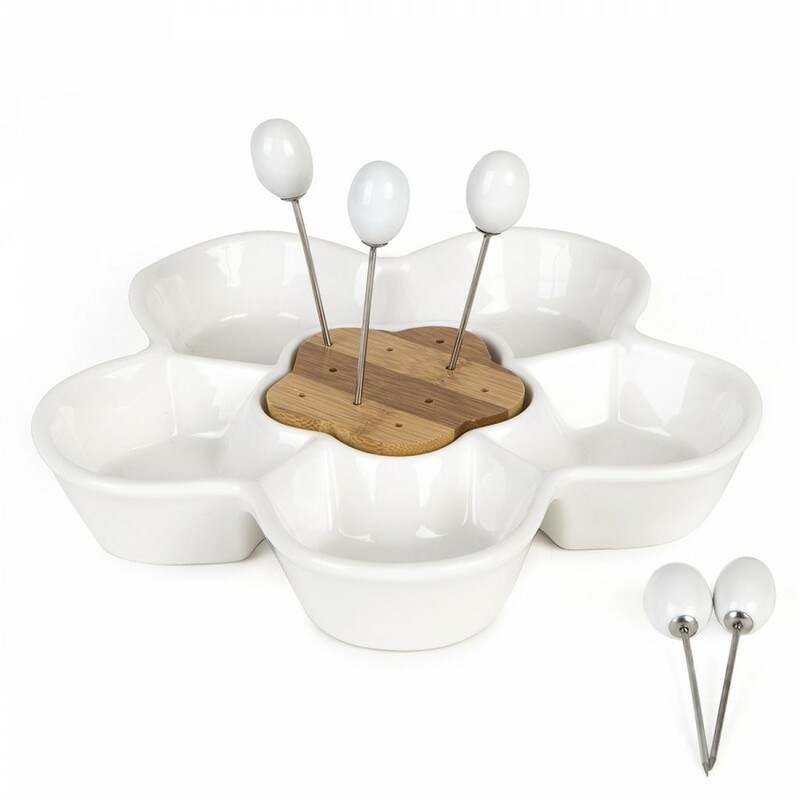 Description: Setting the table is an art and this flower-shaped ceramic Appetizer Tray is definitely an elegant way to prepare and serve. Comes with five compartments to store your appetizers, such as marinated vegetables, sauces for cheese, spreads and fruit with syrup. Equipped with five "pins" to better taste and share any Italian specialty! Producer: Brandani Gift Group Sas. Conservation: After use, wash yourAppetizer Tray and “pins” with water and detergent. Rinse, dry and store in its original package.